Gregory Longenecker had a date with his long-term girlfriend he wouldn’t make. At around 11 a.m. one morning last July, Longenecker, 51, and a friend were spotted by a Pennsylvania Game Commission employee and police in an area surrounded by heavy brush and next to 10 marijuana plants they appeared to be growing in Berk County, Pennsylvania. The friend was quickly apprehended, and Longenecker fled, running through the dense brush, according to a Berks County District Attorney report. Soon, the situation developed into a chase -- a helicopter from the Pennsylvania State Police searched for Longenecker, and a state trooper along with the game commission employee followed him in a bulldozer. Taking cues from the helicopter, the bulldozer drove where Longenecker was last spotted, as the brush was so thick that police felt they couldn’t chase him on foot. The incident ended, about 2.5 hours later, when Longenecker was discovered trapped under the bulldozer, unresponsive. He was later declared dead. Longenecker’s family vehemently disputes this. On Monday, the family sued the state police and the game commission, saying Longenecker’s civil rights were violated, and seeking damages over an incident that they say should have never ended in their beloved family member's death. “Those that are accountable need to be held accountable; those that are responsible need to be held responsible," he added. State police, the Pennsylvania Game Commission, and members of Longenecker’s family declined to comment to NBC News. Berks County District Attorney John Adams told NBC Philadelphia that the police response to Longenecker was appropriate. Strokovsky says the family is calling for a more thorough investigation. “There is no way Mr. Longenecker crawled underneath the back of the bulldozer,” the complaint reads. 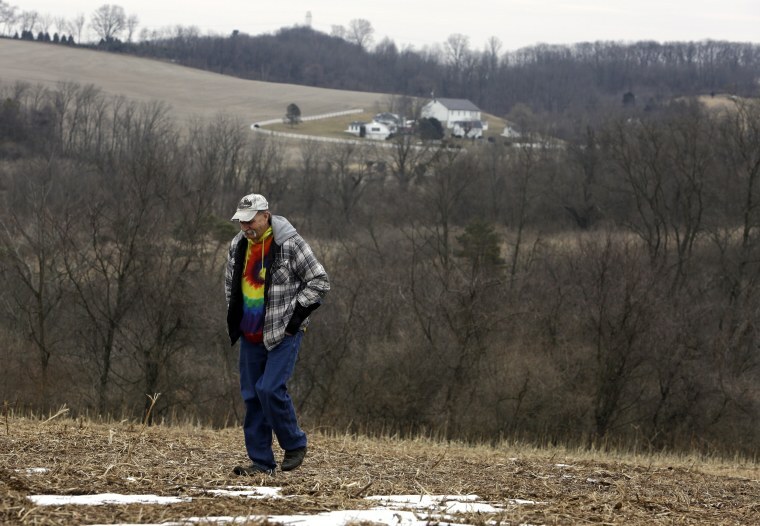 Longenecker’s family also claims in the lawsuit that the game commission destroyed evidence, alleging that the brush area where Longenecker was killed was “wiped clean” after they requested it be preserved. “The state police and the Pennsylvania Game Commission worker ran Greg over with a bulldozer, crushing and killing him, all over some pot plants," Strokovsky said.